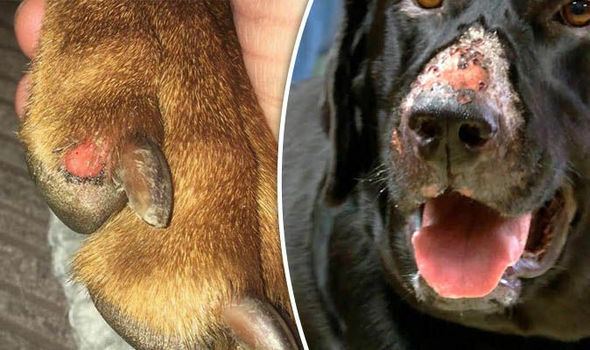 Cutaneous and renal glomerular vasculopathy (CRGV), commonly referred to as Alabama rot, has been confirmed in 112 dogs across 31 UK counties, and has a mortality rate of 80%. Its cause is unknown, but Fish vet Fiona Macdonald is researching whether Aeromonas hydrophila, a bacteria present in water sources and soil, might be involved in the cause of CRGV. A seasonal link to CRGV is suspected, with more cases reported between November and March, especially in dogs walked in muddy woodland areas or terrain with running or standing water. Erosive or ulcerative skin lesions affecting the under belly, limbs, muzzle and tongue, followed by kidney failure within 3 to 10 days, which can include vomiting, reduced appetite and weakness. CRGV can affect any dog of any breed, age or size. How can I prevent my dog from getting Alabama Rot infection? As the cause of CRGV is still unknown, no specific guidelines regarding disease prevention exist, but being extra vigilant by keeping your dog on a leash while exercising in wooded and wetland areas and bathing your dog afterwards may be sensible. There have NOT been any confirm cases of Alabama Rot in Kingsbury Water Park but there are signs to indicate that there is Blue Green algae which is toxic to dogs if they drink or swim in contaminated water.